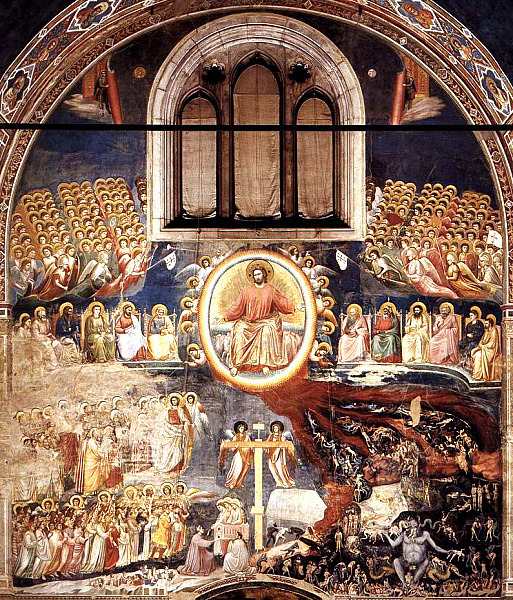 Scrovegni Chapel, the masterpiece of Italian fresco artist Giotto di Bondone, was completed in around 1305 and now sits, fully restored, in the Italian city of Padua. The chapel features mostly scenes from the lives of Mary and Jesus and depictions of the miracles of Christ. Di Bondone used the chapel as writers use pages of a book, displaying his powers of visual narrative in every scene. Today, the chapel is open to visitors throughout the year, maintained by the city of Padua and revered as a monument to Giotto di Bondone, the 'Father of the Renaissance'. Around 1303, Enrico Scrovegni, a wealthy and proud Italian financier, approached di Bondone about decorating his new family chapel. He had acquired the land to build the chapel from Manfredo Dalesmanini. Originally, the chapel was attached to the Scrovegni family palace. Enrico Scrovegni was a shrewd businessman who had amassed his fortune by lending money and charging exorbitant interest rates. This practice, called usury, was frowned upon and viewed as a sin by the church. Unwilling to pursue other means of income, Scrovegni instead sought to placate the Holy Virgin with a tribute in the form of a beautifully painted chapel. Di Bondone took the job and spent the next two to four years perfecting his masterpiece. He began with the inspiration to paint a visual narrative of the lives of Mary and Jesus, and when the work was completed it was a breathtakingly intricate artistic marvel. Di Bondone approached every scene as if it were the only one, adding minute details to solidify the scenes' realness and aesthetic appeal. The chapel frescoes are arranged in bands running along the walls. The life of Mary comes first, followed by the life of Jesus, and culminating in the miracles of Jesus. Though the frescoes are intended to be read horizontally, many art critics and viewers over time have noted that when read vertically, they seem to be suggesting or foreshadowing the next. Di Bondone was certainly capable of executing such a tricky undertaking. The subject matter of the frescoes was commonplace for the time. Religious themes were overwhelmingly popular among medieval artists, a trend that had yet to ebb in di Bondone's time. No records or documents exist to explain why di Bondone chose to chronicle the life of the Holy Family in his frescoes at Scrovegni Chapel, but no-one will deny the fortuity of this choice. The scenes that he chose to paint were, individually and collectively, optimum for displaying his genius: di Bondone's commitment to authenticity, naturalism and humanity in his paintings meant that he would spend a great deal of time perfecting each subject's expression, posture and gestures. The time of Jesus and Mary was a time of raw and volatile emotion, setting the stage for a rake of events that found their way onto the Scrovegni chapel wall. However, there are several frescoes in particular that stand out - parts of the story that merit closer scrutiny for one reason or another. 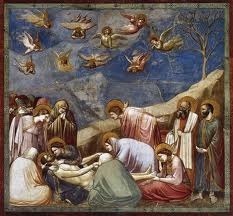 The most famous of the Scrovegni Chapel frescoes is undoubtedly Lamentation, which depicts a dead Jesus, lying in his mother's arms and surrounded by his disciples and friends while angels weep overhead. The strong emotional overtone of this fresco is evident in the subjects' downward-cast eyes, tears, mouths twisted in a grimace of despair. John the Baptist is pictured flinging his arms back in anguish. 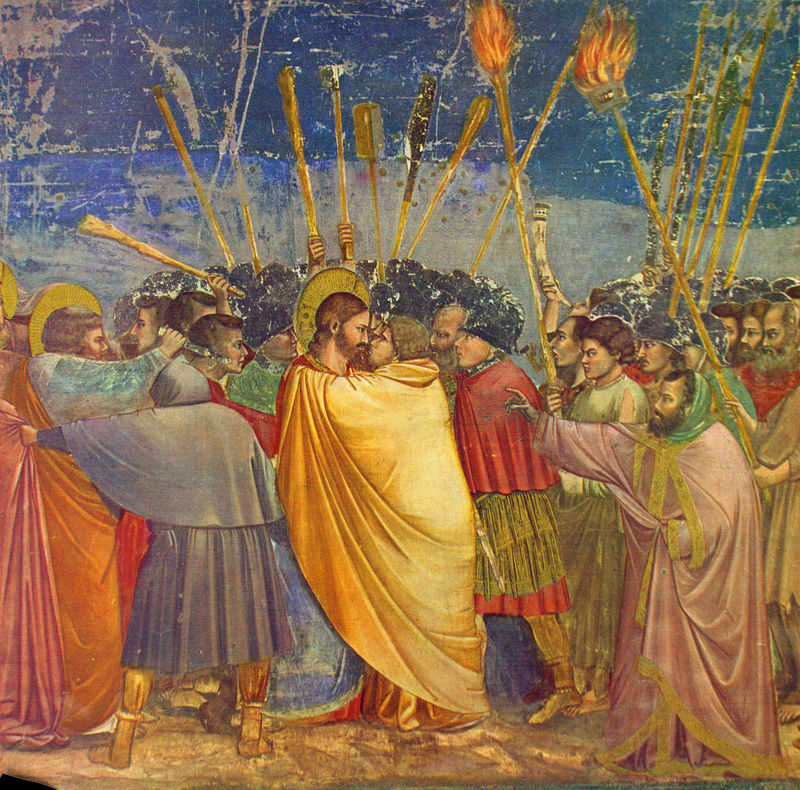 Next, it is worth taking a closer look at The Kiss of Judas, a fresco portraying the fateful moment that Judas betrayed Jesus in front of the Roman soldiers. In a preceding fresco, Judas has agreed with the Romans to indicate - with a kiss - which of his fellows is Jesus. Following this identification, the Romans would arrest and crucify Jesus. It has been speculated that the bright, brilliant colors in this scene, along with the seeming chaos in the background, is meant to focus the viewer's attention on the central tableau of Jesus and Judas. Viewers will note the contrast between the rest of the picture and Judas' tender embrace and calm, easy betrayal of Jesus. 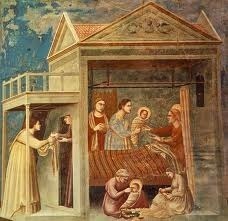 Among the other famous frescoes are Last Judgment, Birth of Jesus, Birth of Mary and Joachim's Dream. The Scrovegni Chapel most likely changed hands multiple times over the centuries, but records exist for only two sales besides the original sale to Enrico Scrovegni. It was acquired some time during the nineteenth century by the Italian family of Foscari Gradenigo. They proved to be poor stewards of the chapel, allowing the portico to collapse and the paint to become badly decomposed. The city of Padua bought the chapel in 1880 and undertook a full restoration that began almost immediately and continued at periodic intervals throughout the twentieth century. The last touches were completed in the 1970s. Today, the Scrovegni Chapel, a monument to the genius and talent of Giotto di Bondone, is open to the public year-round and enjoyed by many thousands of visitors every year.